The Mafika Pascal Gwala Annual lecture was initiated by South African History Online in 2015 and is run in partnership with both the University of Kwa Zulu Natal (UKZN) and the National Institute for Humanities and Social Sciences (NIHSS). 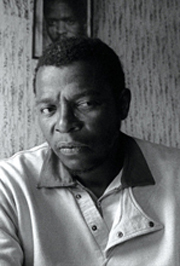 Gwala was a prominent South African poet, activist and intellectual whose life and work played a leading role in giving form to the debate about ‘a people’s culture’ in the 1970’s and 1980’s. The primary aim of these lectures is to inspire the present generation of artists and academics to revisit the pivotal role of artists in promoting debate on human rights issues. The lecture series is in line with South African History Online’s objective of compiling a comprehensive history of the arts. Second Mafika Gwala Annual Lecture Invitation.